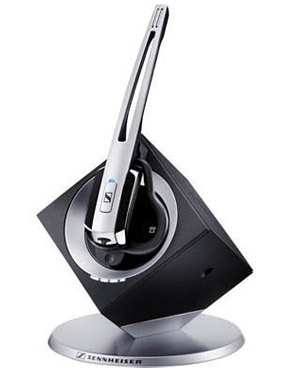 The Sennheiser DW-Office is a wireless DECT Headset that is perfect for connecting to your deskphone and soft-phone. If you are sick of being restricted to your cabled phone on your desk, the DWoffice allows you to get up and move around your office. 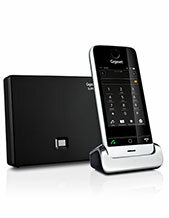 Long Distance Wireless Range - In typical office building: Up to 55 m and in line of sight: Up to 180 m.
Intuitive and Easy pairing - For desk sharing and phone conference. 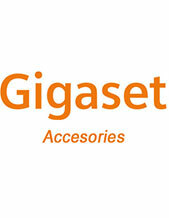 Looking for a wireless phone solution for the office? charges the headset when not in use. 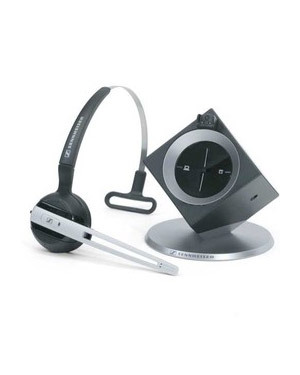 DW Office is an all new single-sided DECT headset for your desk phone and softphone. The elegant design places a premium on comfort and effectiveness, allowing you to move freely around without any wires to hold you back. You'll warm to HD voice clarity and high-end sound quality, personalized wearing styles, simplicity of use, intuitive and easy pairing for desk sharing or phone conferencing, and full workday talk time with intelligent fast charging. 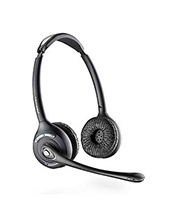 Offering long-distance wireless range for maximum roaming freedom, DW Office gives you true comfort calls in one high-quality headset with ActiveGard" to protect you from acoustic shock. The DW-office has unmatched HD Wideband audio quality over its rivals (TIPT have tested them all extensively), longer battery life and longer range than any of its competitors and also a far superior noise cancelling microphone. DECT stands for Digitally Enhanced Cordless Telecommunications and offers by definition an extremely high degree of security against unauthorized access to calls. The digital wireless transmission protocol contains as standard processes for authentication as well as for encryption which makes it very difficult for hackers or other to gain access to useable information from the voice data streams generated by DECT equipment. 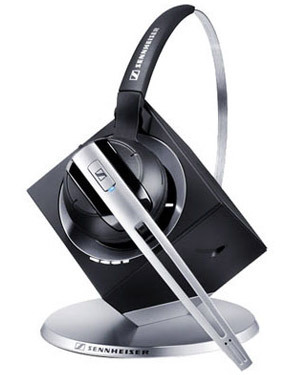 All headsets in the DW-Series from Sennheiser Communications are equipped with the latest available DECT technology and ensure a high level of security. Transmission of un-encrypted data is not possible.